Are you too busy not being productive? It’s sounds silly—how could limiting yourself to just 1 thought increase the amount you get done? How could being mindful of just one thing, improve your overall productivity? This article on Huffington post discusses how mindfulness could actually be the solution to better productivity. It begins by giving “mindfulness” and “productivity” a common denominator: they both involve where and how time is spend. But more importantly, they both support and uplift each other. Mindfulness gives rise to improved focus and attention, which in turn converts to better productivity. There are many ways to practice mindfulness, including daily meditation in the morning. 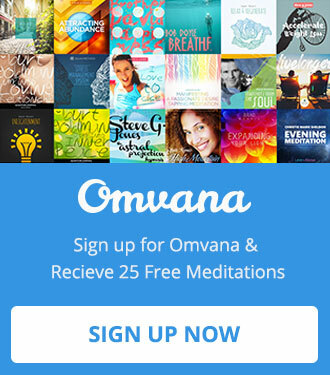 If you need guidance in your daily meditations, want to improve your focus, and long to be more productive with your day, try listening to this free meditation on Omvana. Previous story Ready to Unleash Your Creative Genius? Focus is greatly need here. It was always and issue in my live. Thanks it will be unblocking a great area, sense I started school it was already and issue. I love you all at Mindvalley you don`t understand how my being can begin to grow at peace finely after so many years. Thank you again.